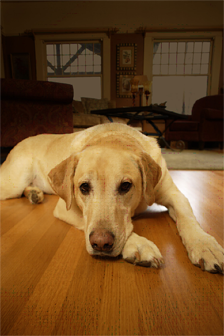 Hardwood and bamboo flooring are both susceptible to extreme scratching, making bamboo floor care important if you have pets. 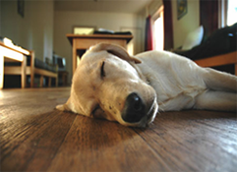 Most pets will not scratch the finish of a strand woven bamboo floor, and if they do it is usually buffed out easily during regular cleanings. The best way to determine whether your pet will damage the floor is simply to order floor samples and test them yourself; then you can rest at peave knowing the home bamboo flooring you purchase is acceptable. Otherwise, the best way to avoid scratching the finish is to keep their claws trimmed. 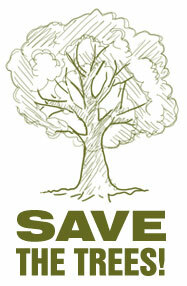 We found an interesting video online about pets and bamboo flooring you might want to see. If you do not have the time to do this on a weekly basis, try asking your local veterinarian about a product called Soft Paws which caps your dog or cat’s sharp claws and protects your floors. Aluminum Oxide is one of the most popular finishes used today because of it's durability and stain and abrasion resistance; it is amongst the top hardwood bamboo floor finishes (the rest are unproven). Most natural bamboo flooring uses aluminum oxide and if it does scratch, often there's virtually no sign of the scratch within a few weeks under normal traffic conditions. If your pet’s designated eating area still has hardwood floors, buy a rubber mat to protect your floor from water spills. Better yet, buy water bowls and feeding dishes that are spill-proof. If accidents do happen, be vigilant. Wipe up urine and other spills immediately. Urine which has been left to stand for a long time can seep deep into wood floors, leaving yellow marks that are difficult to repair. Sanding and refinishing might do the trick. If you are looking for bamboo wood flooring that is 'pet-proof', the closest you will come to that in the world of wood flooring is a Strand Woven floor, which is the hardest of all the bamboo flooring series. Strand Woven floors are designed by pulling apart pieces of the cut bamboo stalks and weaving or braiding them together creating an extremely strong bond. These pieces are heated and compressed to form a floor board stronger than most floors on the market. © 2016 Bamboo-Flooring-Facts.com. All Rights Reserved.